Quickbooks ProAdvisor since 1999, assisting hundreds of clients with Quickbooks setup, training, and best practices. 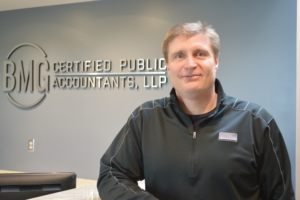 BMG Certified Public Accountants, LLP is a Certified Public Accounting and Consulting firm serving clients in Lincoln, Nebraska and surrounding areas. We provide services in the traditional areas of Accounting, Auditing, and Tax Return Preparation. We also offer General Business Consulting, Information Technology Consulting, Business Valuations, Quickbooks ProAdvisors, Tax Planning and Consulting, Payroll and Peer Review Services.